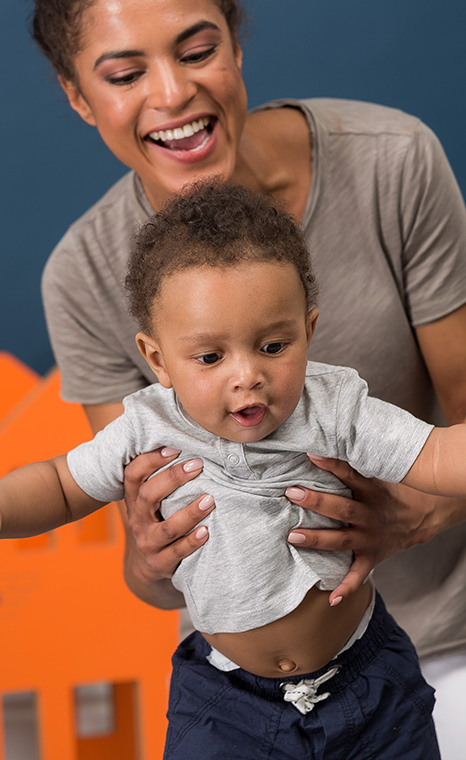 After months of exercises and trial-and-error self-training, your toddler has now firmly acquired basic fine motor skills. 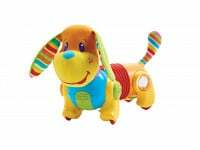 The hand and finger muscles are strong, which enables furthering and expanding the range of activities now available to toddlers, who enjoy kneading play dough, squeezing sponges and drawing with crayons – still using a fisted grip without bending the hand. This is completely normal: toddlers commonly use their hand in a fisted grip until at least the age of two. At the drawing table, babies initially doodle dots and random lines, which gradually develop into circle-like shapes. 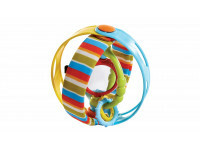 Coordination between the two sides of the body begins to improve, so toddlers can now perform complex actions that involve the use of both hands, each for a different task: threading large beads on a string or building a tower, simultaneously stabilizing it with one hand and adding a block with the other. At around 18 months, toddlers can build a three-block tower; at 24 months, toddlers can build a veritable skyscraper of 6 blocks. Toddlers continue to sharpen other previously acquired skills: they can now deftly place geometric shapes inside their intended slots in the shape sorter, insert very small objects into the neck of a bottle and turn the pages of a book. 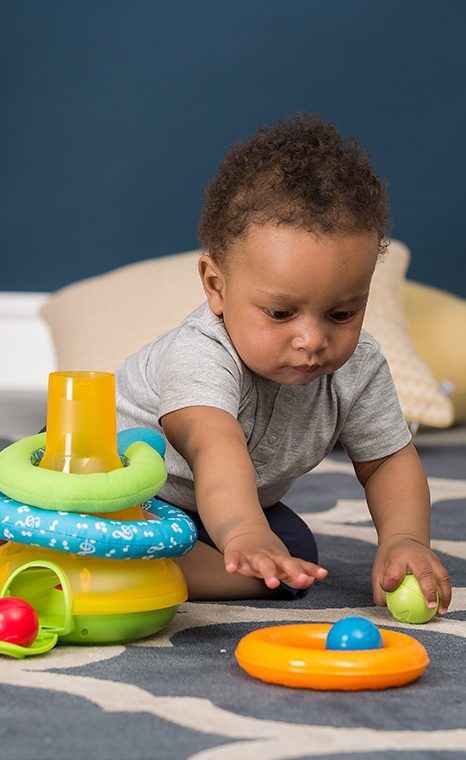 By 24 months, toddler typically begin to demonstrate a preference for a dominant hand – it may now be possible to determine whether your child is right- or left-handed. Feeds herself with a spoon and holds a cup in two hands, drinking by herself without spilling (too) much. Removes shoes, socks and hat on her own. Rolls a “snake” with play dough and draws an approximation of a circle. Threads large beads on a string. Begins to remove wrappers from small packages. 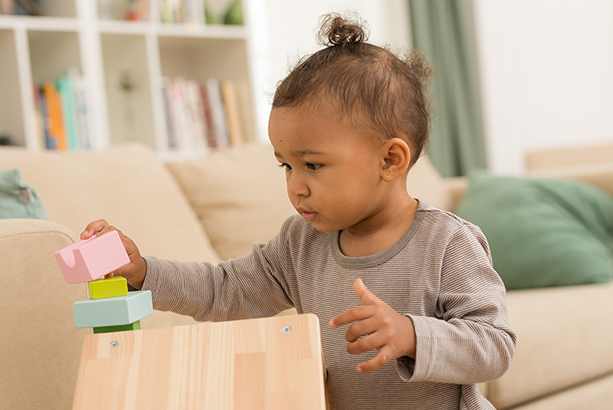 Reach for the skies and embark on a “Tower of Babel” block project with your baby. She may knock down what you have worked on together, but that’s OK. She will still be encouraged to move on to bigger and higher things!